New claims in a TV programme about the murder of Carl Bridgewater nearly 40 years ago are being examined by police. Staffordshire Police said officers are “considering the content” of the documentary about the 1978 shooting. Newspaper boy Carl, 13, died after apparently disturbing a burglary at Yew Tree Farm, near Stourbridge. Questions about the alibi of initial suspect Bert Spencer, raised in the Channel 4 documentary, are also to be examined by the Home Office. Mr Spencer was a questioned by police at the time, but has always denied killing Carl. An ex-hospital secretary, who provided Mr Spencer with a “cast-iron” alibi on the day of Carl’s killing, told the programme she cannot now prove where he was that day. In the programme, Mr Spencer’s ex-wife Janet also spoke for the first time about how her then husband disposed of a legally-owned shotgun at the time, and how she had come home to find him washing a green jumper which she never saw again. Mr Spencer denied her claims. Police went on to charge suspects, who became known as the Bridgewater Four, after they were arrested in connection with an armed robbery in nearby Halesowen. 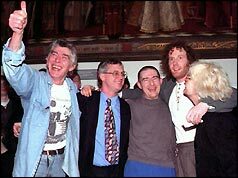 Patrick Molloy, James Robinson, and cousins Michael and Vincent Hickey had their convictions overturned after 18 years, in 1997, amid concerns about the police evidence. The Bridgewater Four was the collective name given to the quartet of men who were tried and found guilty of killing 13-year-old paperboy Carl Bridgewater, who was shot in the head at close range near Stourbridge, England in 1978. In February 1997, after almost two decades of imprisonment, their convictions were overturned on technical grounds. While the Appeals Court noted the continued existence of incriminating evidence, the men were never re-tried, and Bridgewater’s murder remains officially unsolved. Carl Bridgewater (January 2, 1965 – September 19, 1978) was shot dead at Yew Tree Farm on the A449 in Staffordshire (approximately three miles north-west of Stourbridge), when he disturbed burglars while delivering a newspaper to the house on 19 September 1978. The elderly couple who lived there were not at home. The paperboy entered the property as he was familiar with the occupants; an open door led him to worry and investigate further. He was subsequently forced into the living room of the house and blasted in the head with a shotgun at point-blank range. He was already dead when a friend of the house’s occupants found him. The Bridgewater Four were Patrick Molloy, James Robinson and cousins Michael Hickey and Vincent Hickey. They came to police attention following further serious crimes later in 1978. On 24 November, Robinson, Michael Hickey and an unidentified third man carried out an armed robbery at a Tesco supermarket on the Castle Vale estate in Birmingham. Hickey and Robinson raided the safe while the third man held several terrified shoppers at bay with a gun. When the manager tried to intervene a shot was fired over his head. Six days later, Robinson and the Hickey brothers robbed an elderly couple at Chapel Farm, Romsley, near Halesowen. Vincent Hickey stayed in the car while Robinson and Michael Hickey charged into the house wearing balaclavas, brandishing a shotgun and shouting for money. The victims of this robbery displayed great courage but the robbers got away with £200. Robinson took the lead, hitting one of the victims with the gun but not firing it. Molloy was the first to be arrested. During questioning which also covered Carl’s murder, Molloy told police that he had been in an upstairs bedroom at Yew Tree Farm while robbing the house when he heard a gunshot downstairs. Shortly afterwards, the other three men were arrested. All denied committing murder, but three of them were convicted of murder at Stafford Crown Court on 9 November 1979. The fourth, Molloy, was found guilty of manslaughter. They were sentenced on 12 November. James Robinson (aged 45) and Vincent Hickey (aged 25) were both sentenced to life imprisonment with a recommended minimum term of 25 years, which would have kept them behind bars until at least 2004 and the ages of 70 and 50 respectively. Michael Hickey (aged 18) was sentenced to be detained indefinitely at Her Majesty’s pleasure, though it was anticipated he would serve a shorter sentence than the two others convicted of murder due to his age. Patrick Molloy (aged 51) received a 12-year prison sentence on the manslaughter charge, but he died of a heart attack in prison two years later. The campaign to free and absolve the four men was led by Michael Hickey’s mother, Ann Whelan, and campaigning journalist Paul Foot. Preparations were made for a case against four police officers in the Staffordshire force on charges of fabricating evidence, but the case was dropped in December 1998. In a ruling condemned as “sick” by prison campaigners, the Court of Appeal agreed with a Home Office-appointed assessor that the cousins Michael and Vincent Hickey should lose a quarter of loss-of-earnings compensation for their free food and accommodation inside. This has set a precedent which is still being used by the Home Office. Jim Robinson died on 30 August 2007 of lung cancer at the age of 73. Over the years, convicted murderer Hubert Spencer (born 1940) has been mentioned in the media as a possible suspect for the murder. Spencer, a uniformed ambulance driver from Wordsley and a very close neighbour of Carl’s (only 5 doors away), was investigated by police in the immediate aftermath of the murder, not least because he drove a blue Vauxhall Viva – the same type of car which had been seen at the farm on the afternoon of the murder. Witnesses also said that the driver of the car was a uniformed man. Spencer had a shotgun licence and was regularly allowed to shoot at Yew Tree Farm. However, he was eliminated from police inquiries after the arrest of the four other suspects. Shortly afterwards, Spencer shot dead 70-year-old Hubert Wilkes at neighbouring Holloway Farm. Like Carl, Wilkes had been shot while sitting on a sofa. Spencer was jailed for life in 1980 and served 15 years before being paroled in 1995. Spencer is featured in a book, Scapegoat for Murder: The Truth About the Killing of Carl Bridgewater (D&B Publishing), written by true crime author, Simon W. Golding. 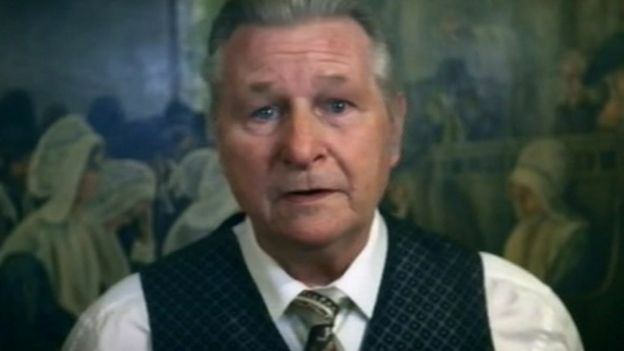 The author invited criminologist Professor David Wilson to interview Spencer, and in June 2016, Channel 4 screened a television documentary, Interview with a Murderer. In the course of the “interview of the year”, Spencer’s daughter revealed that she felt that her father was indeed at Yew Tree Farm on the day of Carl’s killing “and possibly saw something”. A secretary (who was also a friend) who had provided the “cast iron” alibi that he had been “at work all day”, admitted that she could not be sure that Spencer had not left at some point. Prof. Wilson, in his final meeting with Spencer, told him that he saw through Spencer’s “kindly old grandfather schtick”, adding that a P-scan test indicated Spencer was a manipulative and callous psychopath.